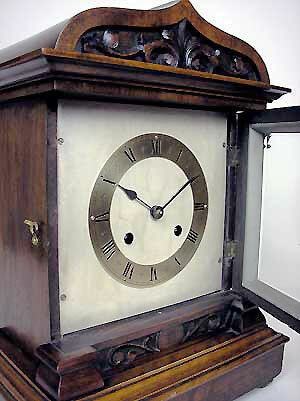 An Edwardian bracket clock with square, silvered dialsheet, brass Roman chapter ring and spade hands. The eight day movement strikes on a gong. 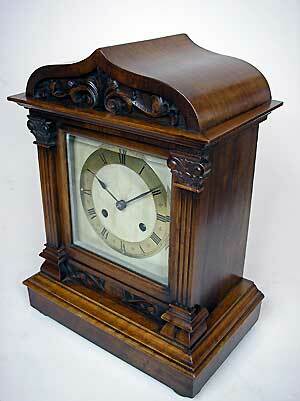 The walnut case has carvings to the top and base, plus square reeded pillars with Corinthian capitals and a pagoda top. 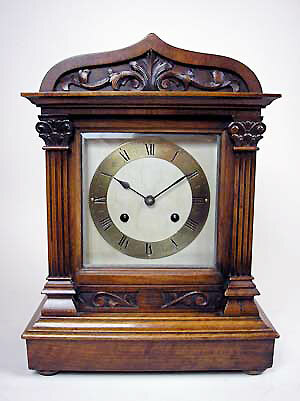 The clock stands on bun feet.